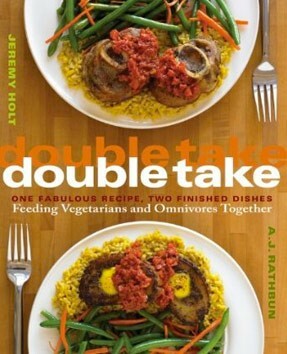 Bring your omnivorous and vegetarian friends to the same table with the fabulous meals in Double Take. Each recipe produces two versions of the same dish: one vegetarian and one containing meat. A.J. 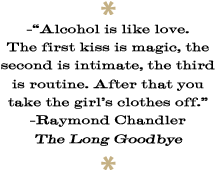 Rathbun and Jeremy Holt cook up such tantalizing fare as Pate Your Way, Bacon and Cheese Tartlets, Chicken or No-Chicken Noodle Soup, Double Standards Caesar Salad, Po’Boys, Polenta Gorgonzola with Mushrooms and Sopressata, Grilled Stuffed Radicchio, and Corny Corn Pudding. Double Take is a doubly delicious solution to a modern dining dilemma.